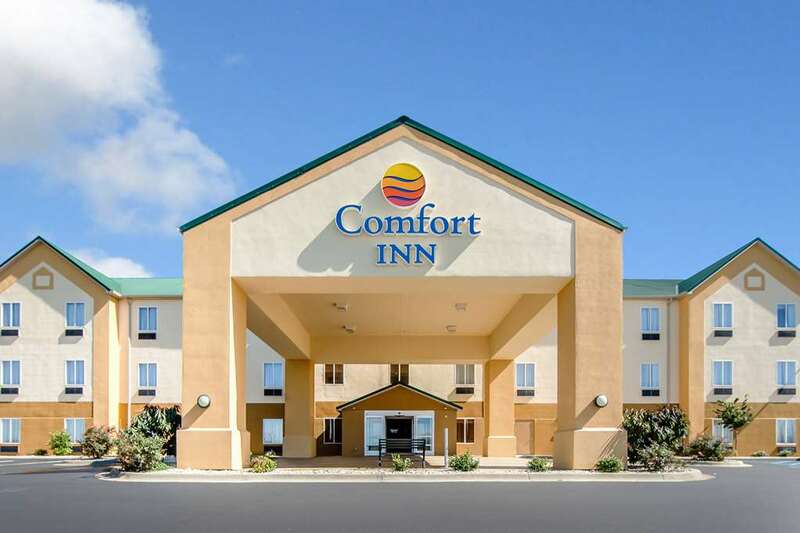 Behind every great day is a great night at the Comfort Inn Lexington South hotel in Nicholasville, KY. We are conveniently located right near activities and sites like Asbury University, downtown Lexington, University of Kentucky, Blue Grass Airport and the Kentucky Pro Football Hall of Fame. Take advantage of our free hot breakfast, free WiFi, free coffee and meeting space that can accommodate up to 60 event attendees. Guest rooms feature TVs, refrigerators, coffee makers, desks, irons and ironing boards. We also offer membership to the Choice Privileges Program, which gives members the opportunity to earn valuable rewards points toward airline miles, gift cards and free hotel room nights.